If there is one company well placed to point customers to it range of wireless headphones, it’s Sony. Little wonder, then, that the Japanese company has joined the growing headphone jack-less smartphone trend. 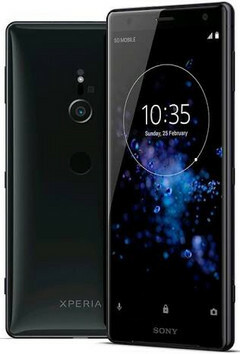 Indeed, the company admits that this trend, along with design direction, is one of the major reasons it dropped the headphone jack on its new Xperia XZ2 and XZ2 Compact. [The removal of the headphone jack] is part of the shift to our new Ambient Flow design language. In order to create the beautiful seamless design, our designers needed to remove the headphone jack. Plus, we’re aware of the major market trend toward wireless headphones over wired headphones. For those concerned that this means the end of Hi-Res Audio support on Sony smartphones, you need not fret. Both the Sony Xperia XZ2 and XZ2 Compact will ship with an USB Type-C to 3.5mm adapter that supports Hi-Res audio. Even then, Sony’s wireless audio technology also supports Hi-Res audio over Bluetooth using some of its own home baked proprietary tech.